Me & Mr Yumdimsum have a weekend ritual. Every Saturday (aaaand sometimes Sunday too!) we love to go out for coffee. All through the week we’re chugging it back as a tool for staying awake, and the weekend is our time to enjoy something a bit more laid back and luxurious. 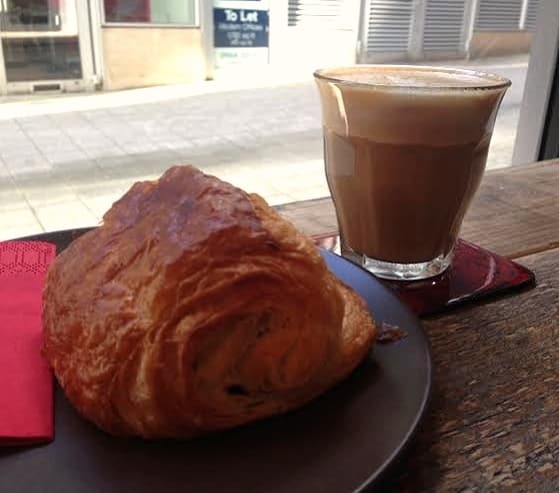 Problem is, where does one go in the city for a relaxing pick-me-up? It’s that never ending problem with Milton Keynes: that for convenience you must be forced into an overcrowded chain. Subsequently we’ve been getting our fix at the Costa above the Cotswolds Outdoor shop. Now they’ve done us a service over the years, but every time I venture through the outdoor shop, awkwardly shuffling past the staff who know I come in and never buy anything, then skulk up the stairs to drink among tent displays and maps of the Lake District, I feel like I should be having a better coffee experience. Enter Bogota. 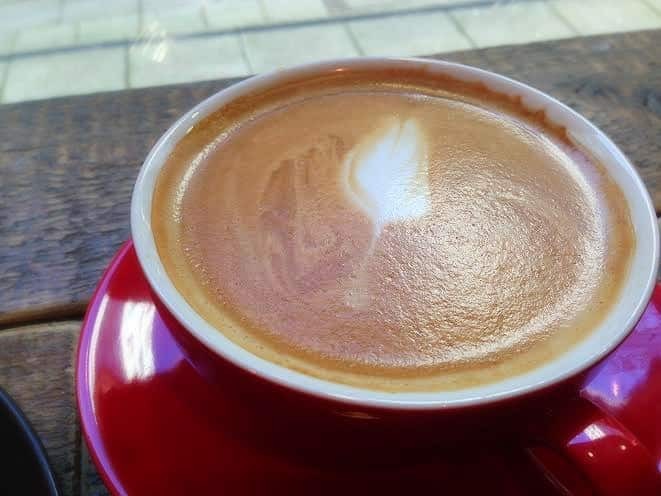 An independent artisan coffee house and newest addition to The Hub. I first started talking to owner Paul before Christmas, when he sent me a package of seriously potent Colombian coffee and a detailed A4 page telling me about it, I knew this was a guy with a serious passion for coffee! Weeks later their much anticipated opening has arrived, and I scuttled down to suss it out! 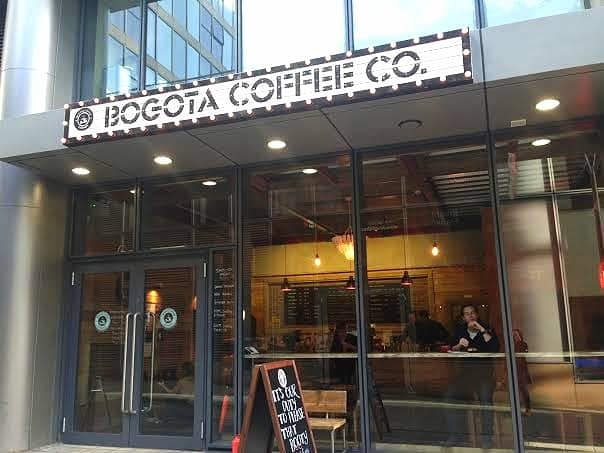 You’ll find Bogota in a cosy unit just around the corner from Nandos. It’s fashionably fitted out with reclaimed wood and brushed concrete. There’s an intimate mix of sofas, tables and bar stools, complete with a scattering of papers & magazines. They’ve already got a flow of people milling in and out which is great to see. We got a lovely warm welcome, the kind you will never get at a coffee chain, and placed our order before taking a seat. 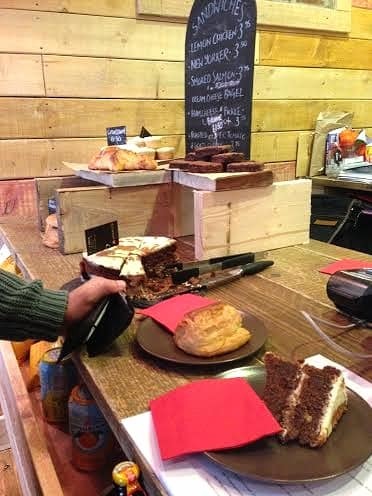 Along with coffees there’s a few unique beverages like ‘curious cola’ and a tasty looking selection of locally sourced cakes & pastries. 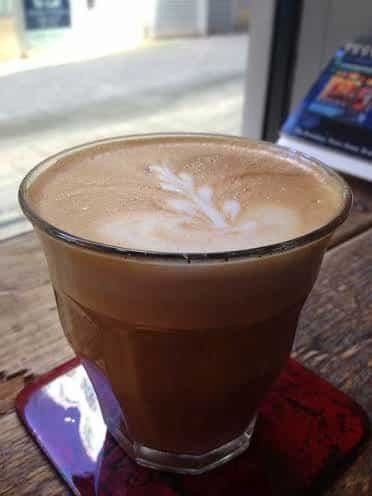 Flat whites are served in glasses and are deliciously creamy. Bogota make their coffee properly, that is they don’t serve it boiling hot: something which not only makes you furiously impatient but also burns the coffee beans. All coffees are instead properly served hot, but instantly drinkable. The result is a very smooth coffee full of complex flavours. If you’re looking for extra smooth their cappuccino is just that. Caffeine addicts will be pleased to know that Bogota’s coffee is strong! It certainly does the job, although it’s cleverly delivered without an overpoweringly strong taste. 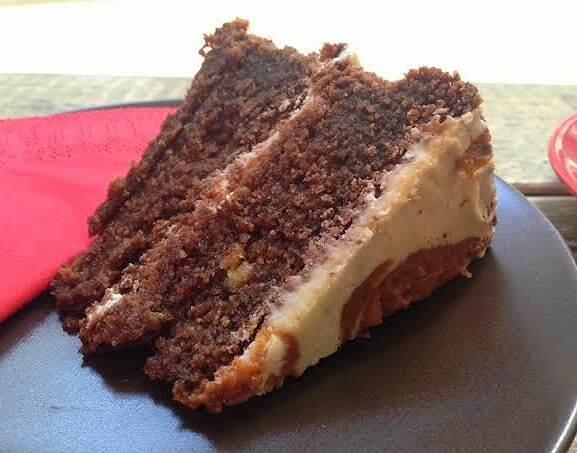 Cakes don’t pull any punches either, and I highly recommend this salted caramel cake which was spectacularly rich and a little gooey. Oh yes! 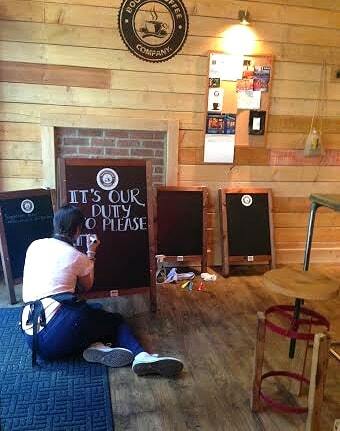 It seems slowly but surely Milton Keynes is appealing more to independent businesses and drawing in some quality ones at that. 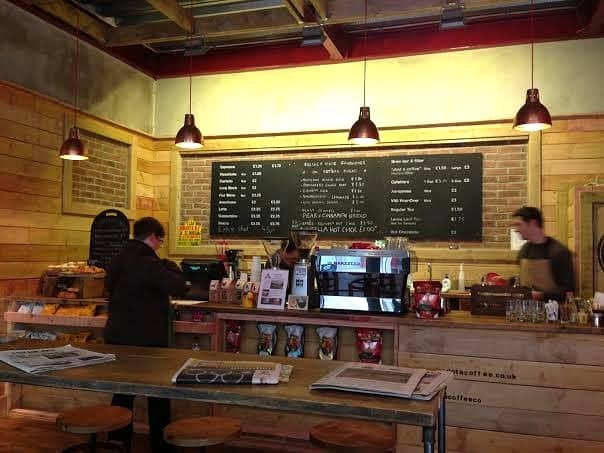 Bogota coffee has made a great first impression on me as a friendly place to enjoy a quality coffee away from crowds. There are promotion cards floating around to get your first coffee free, whether you can get your hand on one or not, these guys are definitely worth a visit.